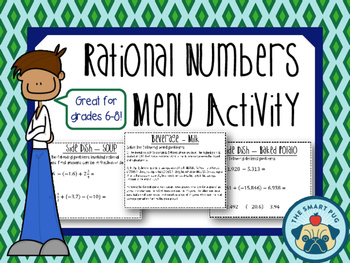 This activity is a great review of adding and subtracting rational numbers. 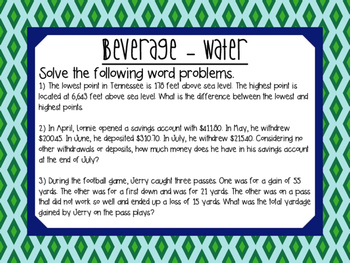 Students will add and subtract fractions, decimals, integers, a combination of all three PLUS word problems. 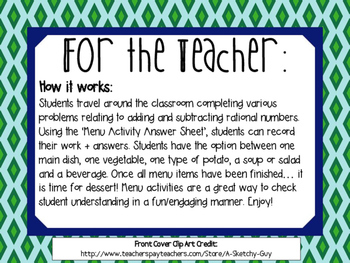 Students can choose from different food options to complete their 'Menu Activity.' 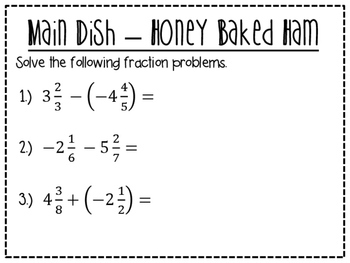 Each food option comes with a couple choices.